Discover Cashback Bonus: Check your emails (could be in junk/spam mail)! 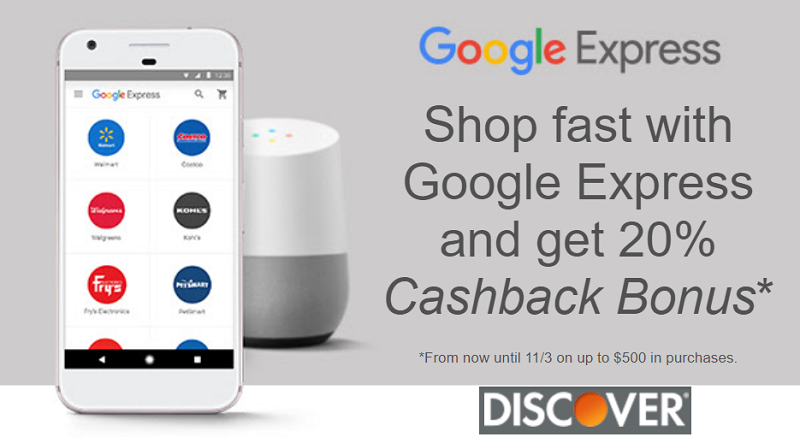 You may be targeted for this Discover Cashback Bonus Offer where you can get 20% cash back up to $500 in purchases when you use your Discover Card at Google Express from now until November 3, 2017. Do keep in mind the terms and conditions listed below! Shop many top stores like Walmart, Costco, PetSmart and more – all in one place, with no membership fees and one fast checkout. Earn on your orders from 10/13 through 11/3 on up to $500 in purchases, when you use your Discover card at Google Express. Add to your list or check things off from the website or app. Orders must meet store minimums before taxes and fees–$25 or $35 in most cases. This offer is valid when you use your Discover card at Google Express. Earn 20% Cashback Bonus on up to $500 in purchases from October 13th–November 3rd, 2017 up to a maximum $100 Cashback Bonus. 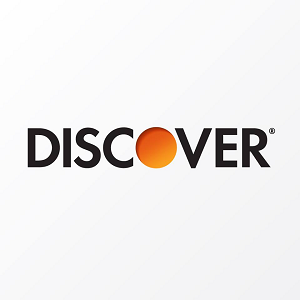 Discover is not responsible for merchant delays in processing transactions. Rewards are added to your Cashback Bonus account within 2 billing periods. This offer is non-transferable. Free delivery means no shipping & service fees, though separate fees apply when ordering from Costco without a Costco membership. Orders must meet store minimums, $25 or $35 in most cases, before taxes & fees in select delivery areas. This offer is worth it considering how easy it is especially if you already shop using Google Express or any of the qualifying stores! Let us know in the comment section below on your thoughts on this offer! 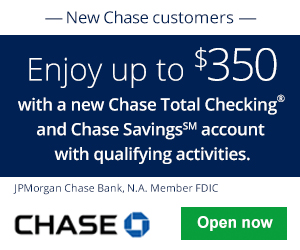 If you’re interested in more info regarding Discover Bank offers, check out our full listing of Discover Bank Deals, Bonuses, Rates, and Promotions. Be sure to check back on BankDealGuy for more bank deals!